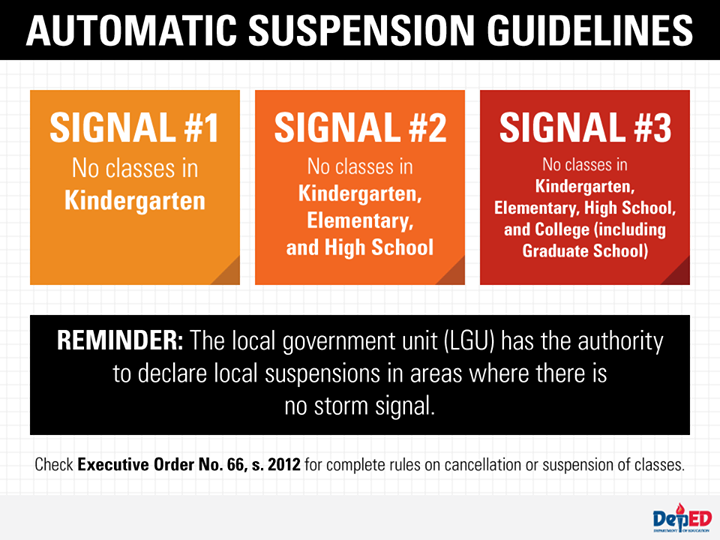 MANILA, Philippines - Some local government units (LGUs) announced class suspensions for Monday, December 8, 2014 due to Typhoon Ruby (international name: Hagupit) that is expected to traverse the vicinity of Southern Luzon and Metro Manila in the next 48-72 hours. 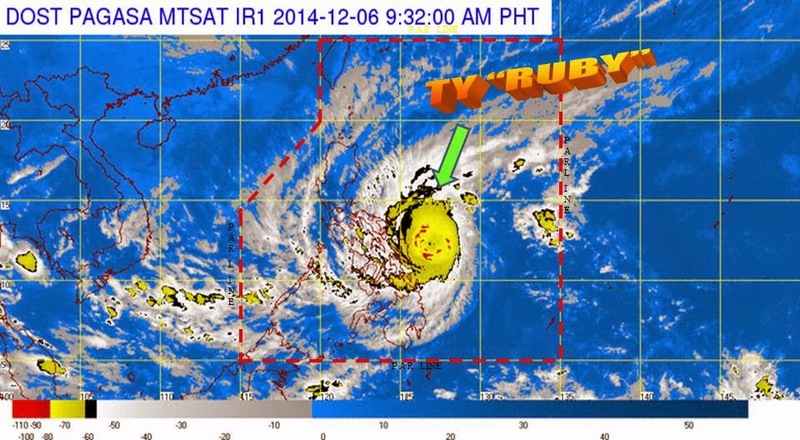 The advisories were released through social media as early on Saturday. Earlier, Cavite Governor Jonvic Remulla announced on Twitter that there will be no classes in all levels on Monday, December 8 and Tuesday, December 9 due to Typhoon Ruby. According to DepEd Philippines Facebook page, classes in pre-school to high school on December 8 are also suspended in the Region 4B: Palawan, Coron, Culion and Busuanga. Keep refreshing this link for the updated list of areas where class suspensions have been announced in anticipation of Typhoon Ruby.